The Hungaria Soccer Team will be attending the annual Ápád Kupa Tournament in Las Vegas. Two teams from Hungary, a team from Vancouver and several teams from the United States are also registered in the tournament. Good Luck Guys ! Hungaria F.C. Mens team is registered in th Edmonton District Soccer Association Div. 3D. The team we have fielded for outdoor is one of our strongest in 4 yrs. Please come out and suppor28039 Hoongaria FC Mens Div. 3D team. Games are usually on Thursday nights. We are not fielding a separate Master’s team this outdoor season. Please check the Hungaria FC (men 18+) section for the schedule for the Men's Outdoor team. Currently, we do not have a women's team. 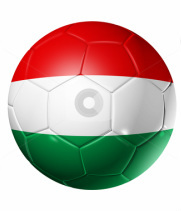 If you are interested in organizing and/or coaching a Hungarian Women's soccer team, please send us an e-mail. CLICK HERE TO GO BACK TO THE PROGRAMS PAGE.